Also known as the Spit Bridge to Manly Walk, Manly Scenic Walkway is among Sydney's best walking tracks. Enjoy bush, beach and beautiful views on this excellent day walk. The track detours in places when the tide is high so you don't get wet feet. If you're planning to stop for a picnic or swim along the way, try Clontarf Reserve, Forty Baskets Reserve or Reef Beach. What’s the prettiest way to get to Manly? Some say catching the Manly ferry, but those in the know will tell you otherwise – it’s the Manly scenic walkway. 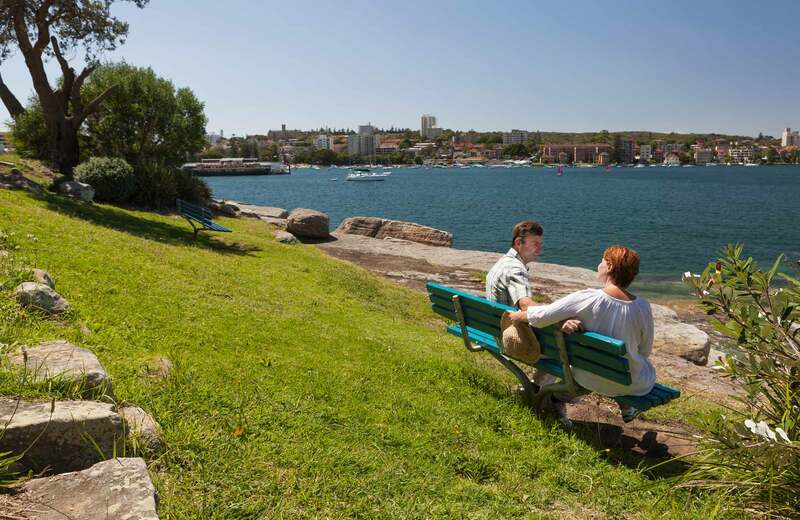 Beginning at Mosman’s Spit Bridge, this classic walk shows you some of the most picturesque parts of Sydney’s Middle and North Harbours and is part of Sydney's coastal walks. Follow the shoreline to Fisher Bay, Sandy Bay and Clontarf Beach then enter the Sydney Harbour National Park at Castle Rock. Make your way around Dobroyd Head and don't miss the Aboriginal rock engravings at Grotto Point or the amazing views from Arabanoo lookout. Pass by or take a dip at Reef Beach or Forty Baskets on your way to Manly. Fancy an ice cream at the Manly Corso after all that effort? Go on, you deserve it. Tuesday to Thursday, 9.30am to 4pm.